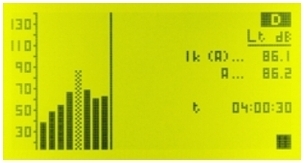 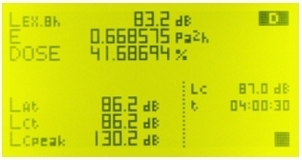 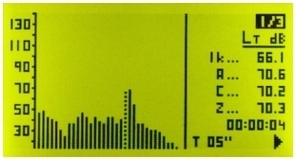 The SC310 is a user-friendly, type 1 integrating sound level meter. 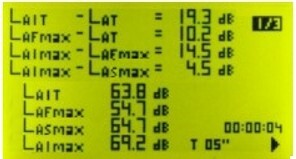 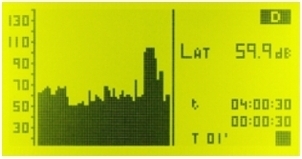 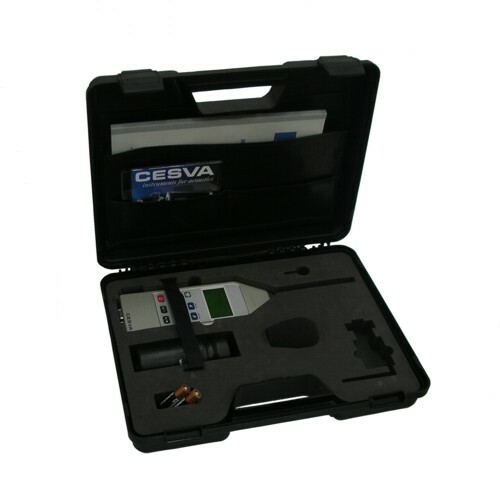 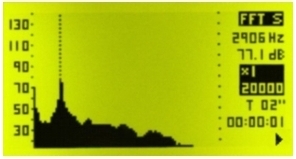 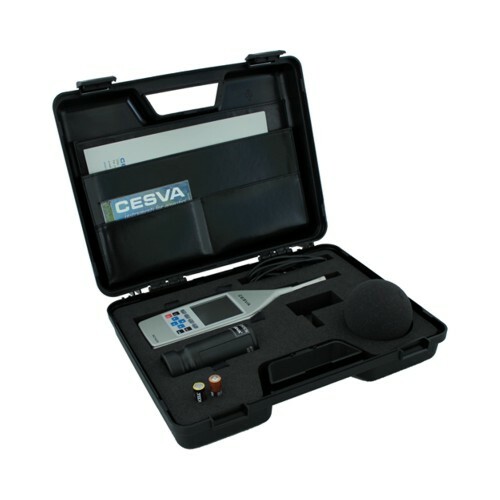 It can be used as either a sound level meter or as a real time spectral analyser for both 1/3-octave bands and whole octave bands - with Type 1 filters. 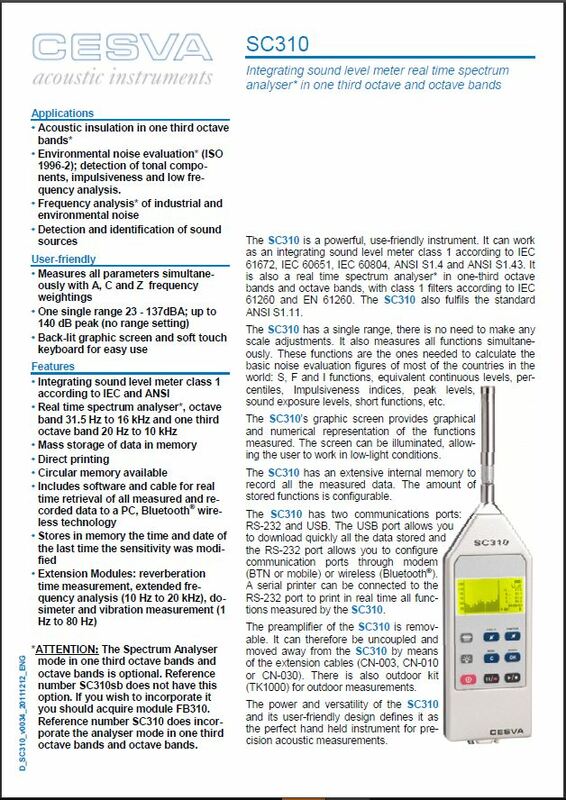 Thanks to its modular platform, the SC310 can be expanded with advanced measurement options, such as 1/3-octave band spectral analysis, FFT analysis or reverberation time measurement.